Home to some of the world’s most colorful and delicate ecosystems, Central America will attract eco-conscious travelers with its lush natural beauty and endless possibilities for adventure. 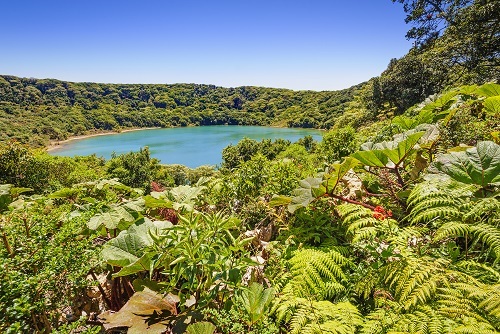 With more diversity per square mile than almost any other destination on earth, Costa Rica is a self-enclosed playground for outdoor adventurers and nature lovers. Whether you want to scale a waterfall amidst the chatter of monkeys and toucans in a rainforest or sip fair-trade coffee at a San Jose café, there’s endless diversity in the stunning landscape. Bordered by the Pacific and Caribbean coasts, Central America is home to scores of wild, breathtaking beaches. From the striking black volcanic sands along Costa Rica’s famous surf towns to the powdery white beaches along Belize’s Caribbean waters, there is a spot along the water for every type of beach lover. If you prefer to be on land, there are verdant mountains and hundreds of national parks that are perfect for horseback riding, hiking, zip lining and cave exploration. Central America is also rich in history and culture, so exploring Mayan ruins or visiting a neighborhood festival are great ways to mingle with the friendly and warm locals. In short, you can expect the unexpected on a trip to stunning and wild Central America.